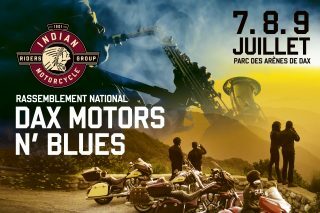 This weekend hundreds of bikers will descend on the town of Dax in France for the annual Motors n’ Blues festival. There is guarded parking for members’ motorcycles throughout the weekend. Hi res images and videos from the event will be available for journalists early next week.